Stephanie Senechal has joined Team Trivera as a web designer/front end developer. Her role at Trivera is to help identify our client's ideal target customer, then create a digital experience that guides them to a positive outcome. 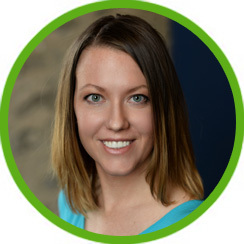 Whether it's a responsive website, a compelling email piece, a banner ad or app, Stephanie specializes in creating clean, brand-focused UI/UX based on usability and solid analytics. Stephanie comes to us with over 7 years of agency experience, most recently at PowerSports Network. In all of her previous roles, Stephanie has collaborated with sales, marketing, editorial, creative, and web development teams to create visually pleasing designs and digital media for multiple platforms. Her credentials include web design, front-end development, UI, UX and analytics while working with national brands like Harley-Davidson, Honda, Yamaha, Arctic Cat and others. Stephanie's graphic design educational foundation comes from the University of Wisconsin-Stout where she majored in Graphic Design and minored in Digital Photography. During her time at Stout, she was also the president of the American Institute of Graphic Arts Stout Student Chapter. Stephanie also studied Painting & Drawing at Goldsmiths College at the University of London. When she's not busy doing great work for Trivera clients, she loves to sketch, chill with her cat Merle and explore the great outdoors.